This post comes a little late but might be useful for next year ! 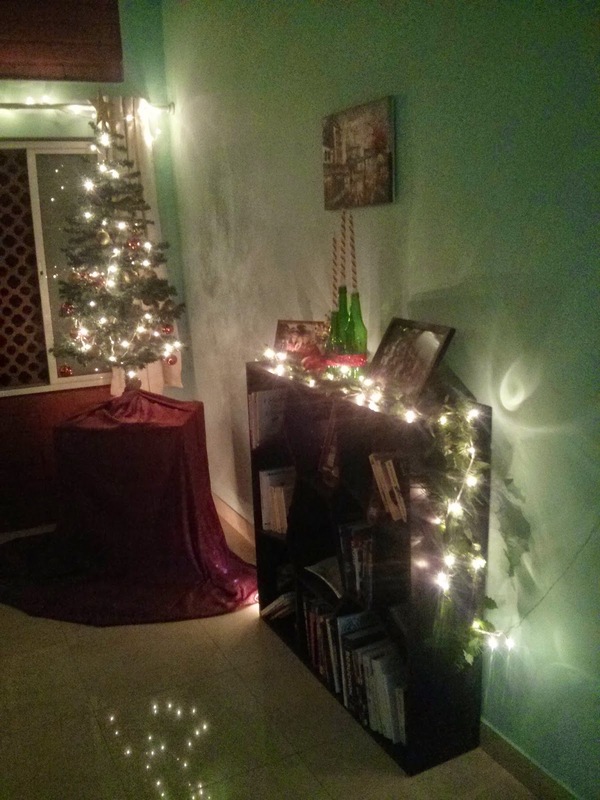 I wanted to share my DIY Christmas decoration and in particular, this zero cost candle holder. 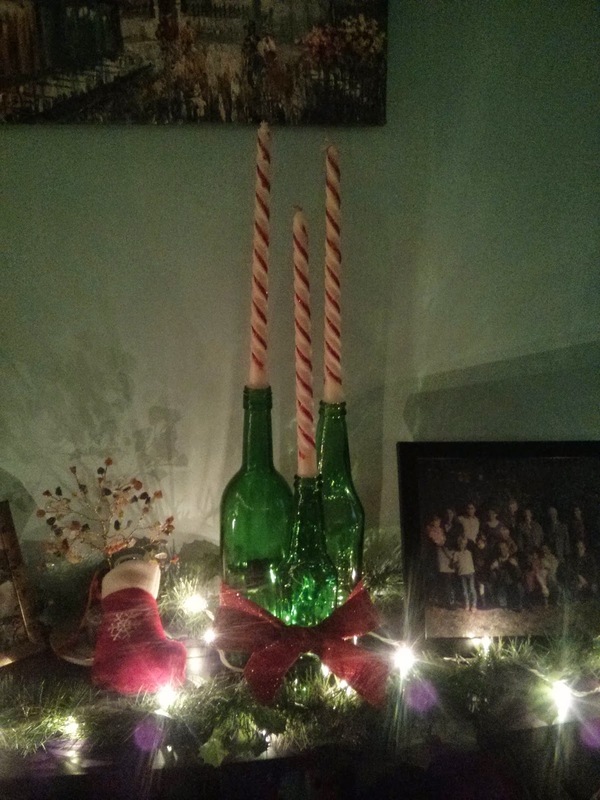 Old wine and beer bottles (use different shapes and sizes for a better effect) tied together in a Christmas-y ribbon and pop your candles in there ! You can also spray paint the bottles with a colour of your choice, probably golden or silver for this occasion, but I liked mine in their original green, it's a Christmas colour already isn't it...! Usually the candles aren't exactly the perfect size to just sit there, they either fall inside or don't fit in at all. No worries ! 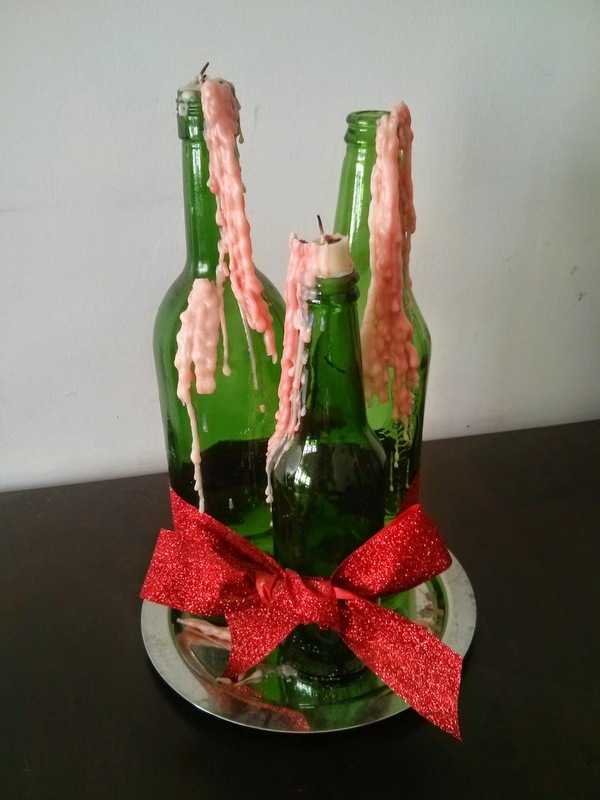 Heat the bottom of the candle over a flame until the wax starts to melt and fix it on the bottle, hold it for a few seconds until the wax cools and hardens again. There, your candle stands in place and doesn't move now. Belated Merry Christmas to all !! Nice and attractive creation for the Christmas functions. Thanks for the sharing.